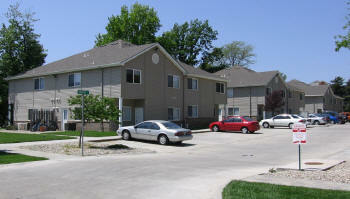 ﻿ Wildcat Village Apartments- Make your home a Wildcat Village! 2 Levels totaling 1530 sq. feet. 4 Large bedrooms with walk-in closets. 2 Full bathrooms and sinks in 3 rooms. Ceramic Tile floors in kitchen, dining area & main bath. TV Lounge on 2nd floor complete with mini-refrigerator & wet bar. Smooth top range, dishwasher & microwave. Copyright © 2011 Wildcat Village Apartments. All Rights Reserved.